Hunters are expected to take to the woods across Central Florida and three other regions of the state Saturday, hoping to kill a Florida black bear during the state’s first bear hunt in 21 years. • Each permit holder is allowed to take one bear, which must weigh at least 100 pounds. • No hunting over bait or with dogs. • Bears must not have cubs. • Weapons allowed are the same as for deer, including bows, crossbows, rifles, pistols, revolvers, shotguns and muzzleloaders. • Hunters must check in within 12 hours of killing a bear. 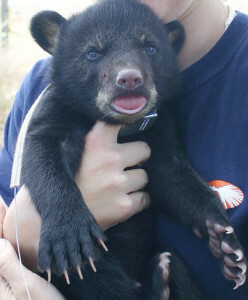 After a brief legal battle and amid widespread opposition, black bears will be hunted in four regions, just three years after being removed from the state’s protected species list. More than 2,869 hunters have bought permits, hoping to help the Florida Fish and Wildlife Conservation Commission meet its goal of killing 320 bears during the next seven days. The most permits were sold in the three counties closest to the vast Ocala National Forest, home of the state’s largest bear population. The most — 196 — were sold in Lake County, with 193 sold in Marion County, according to information provided by the wildlife commission after a public records request. In Volusia, 169 residents had obtained the $100 permits, and 17 were sold to Flagler County residents. While opponents circulated emails, called and wrote the governor’s office and planned protests taking place statewide today, including on the downtown square in Ocala beginning at 11:30 a.m., bear hunters excitedly scouted the woods for tracks and made plans for taking a trophy bear.